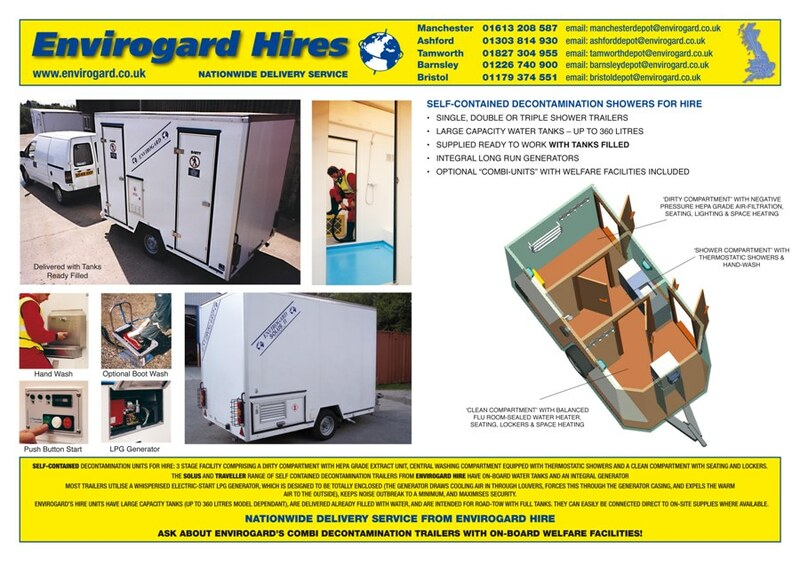 The Envirogard Nomad is a stand alone hygiene facility, providing shower and washing facilities for decontamination of personnel. 3 compartments providing, designated, "dirty", "shower" and "clean" areas. thermostatic showers for safe and comfortable decontamination. a stainless steel wash basin for full forearm cleansing. high capacity on-board clean water tank, 250 litre. a Rinnai balanced flue room-sealed LPG water heater. HEPA grade air filtration and extraction. an optional waste-water filtration unit (where required). Nomad: twin shower 8-Person unit. The Nomad is designed to be towed to site with its water tanks ready filled, and its generator ready to work; it can be operational within a few minutes of arrival. 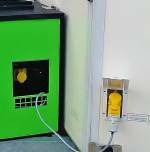 For extra flexibility - where mains utilities ARE available the unit can be also coupled to these services.